Have a favourite map? Bring it to GeoRabble #2 on Thursday 16th June. Speed Mapping is our way for everyone to share their passion and geo obsession and to get to know like-minded people. Bring a copy of a map on your phone, tablet or printed that gets your Geo juices going and during the evening we will ask you to turn to the person next to you and in 2 mins each, share that map and why you love, hate it or just totally respect the science or art of the work. Here is an example from one of the crew @ciscourbina talking about one of his favourite maps. I clearly remember attending a GITA conference and at the cocktails having a chat to few of the people on the exhibition floor and having a really vigorous discussion with an old school surveyor that cartography is not about accuracy but communication. I didn’t win him over but I did everyone else. 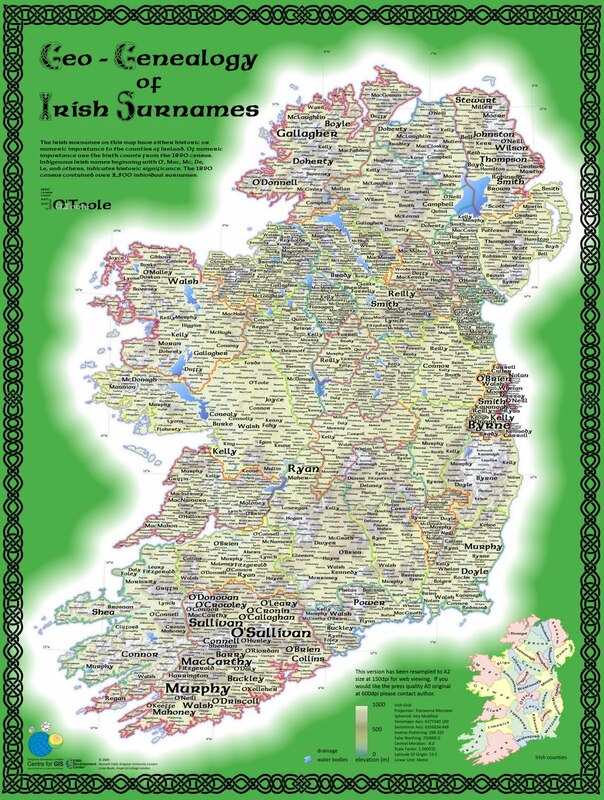 That is why I really respect the work and art of the Geo-genealogy of Irish Surnames from Kingston University, London. It takes the 1890 census, uses total count by counties to set label size, uses county polygons to restrain labels and some clever label conflict resolution to provide a story about surnames across Ireland at that time. You can see dominate names, population densities and even impact of terrain. Though I can’t seem to find Urbina – go figure! Not perfect, but a great way of getting people to relearn the art of cartography, combined with software and turning complex information into a story. Another example is found over at Bill Rankin blog check out his discussion on why dot maps are better. Don’t forget to register and bring your favourite map to share. Second GeoRabble Event is coming to Sydney! After a near full house and lots of positive feed-back from our inaugural event on 16 March, we are proudly announcing the 2nd GeoRabble night for Thursday 16 June, from 6:30 PM at the Shelbourne Hotel (doors open 5:30 PM). Read more about the night, and the speakers here, or go straight to the registration page.